I was met by pigtail braids bouncing up and down as my daughter sprinted to the door asking me through her gap toothed, kindergarten smile to guess what she learned at school today. Before I could formulate a witty response, she blurted out, “Fair is not the same as equal!” I’ve always known this to be true, but how often do we fully appreciate our privilege? How often do we really wrestle with the difference between fairness and equality as it applies to our own lives? Living and working at a private boarding school in a quintessential New England town, it is not often enough. On October 22, Fiona Mills and Caroline Murphy’s Culture and Conflict course helped the Proctor community come face to face with our privilege when Proctor hosted a screening of It’s Criminal in the Wilkins Meeting House. The feature length documentary highlights the economic and social inequities that divide the United States by sharing the life-changing journeys of incarcerated women and Dartmouth College students working together to write and perform an original play that explores the often painful and troubled paths that landed the women behind bars, and also shares some of their fragile visions for the future. The evening took on additional depth as we were incredibly fortunate to welcome two of the incarcerated women, two instructors, and the director of the film, Signe Taylor, for an open discussion after the film. To say the evening was powerful would be an understatement. Independent schools operate in a world of privilege. They always have. Proctor’s boarding tuition crested $60,000 this year. 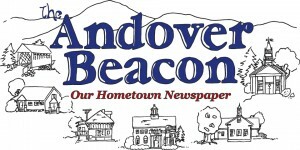 As is the case with all tuition driven institutions, Proctor’s financial aid awards (which totals more than $4,000,000 including tuition remission) puts a dent in affordability for nearly 40% of families, and provides access to the Proctor experience for some, including disproportionate access to families from Andover thanks to the Andover Grant that covers 40% of day student tuition costs for all Andover residents. But even still, financial aid is insufficient and does not provide access to nearly enough students. Proctor is not alone in this challenge, and while an uncomfortable topic to discuss with students or parents, independent schools cannot shy away from the fact that more than 80% of Proctor families’ incomes fall in the top decile in the United States. Consider this perspective on opportunity: 2.2 percent of the nation’s high schoolers will graduate from nonsectarian private high schools, and yet these graduates will account for 26 percent of students at Harvard and 28 percent of students at Princeton. The flip side of the equation is equally startling: 96% of incarcerated women in one Vermont prison were victims of sexual or physical assault. Read THIS incredibly thought provoking piece from the Atlantic for more startling statistics on wealth, privilege, poverty, and the cycles that surround each as an ever increasing gap in opportunity develops in our country. Experiences that force us to understand, appreciate, and wrestle with privilege are critical to graduating self-aware, engaged young people. Sitting in on Fiona and Caroline’s class as students debriefed their reactions to last night’s screening reiterated the importance of these experiences. The depth of responses, the desire to not just talk about the privilege of those Dartmouth students in the film, but to self-reflect on the privilege present in our own community was impressive. Our students are not the only ones in our community wrestling with this idea of privilege. As adults who have chosen to work at Proctor, we ask ourselves why is it that we are all right providing the opportunities to our students when there are countless individuals living less as our neighbors in town who are struggling to put food on the table for their family? Why are we dedicating our lives as educators to transforming the lives of the most privileged of young people when there is so much injustice, inequality, unfairness in the world around us? What implicit bias plays into our ability to decipher the difference between opportunity based on economic status and opportunity based on intelligence? Are we doing our absolute best to increase access to the Proctor experience? Or do we convince ourselves a stated percentage of socioeconomic diversity within our population of students is sufficient?